I’d originally developed this picture with the colourfade filter. 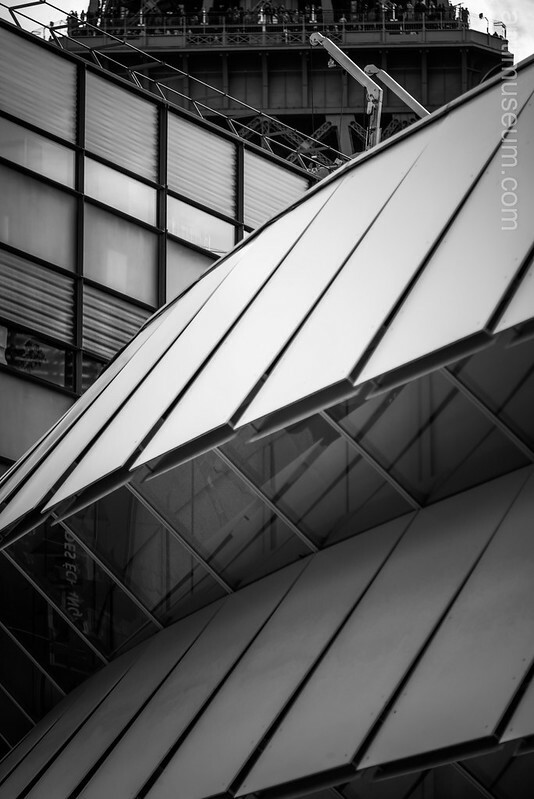 Yet, I prefer it in Black and White because it’s all about curves and geometry and not about colour. If you look above the modern buildings you’ll catch a glimpse of the Eiffel Tower.